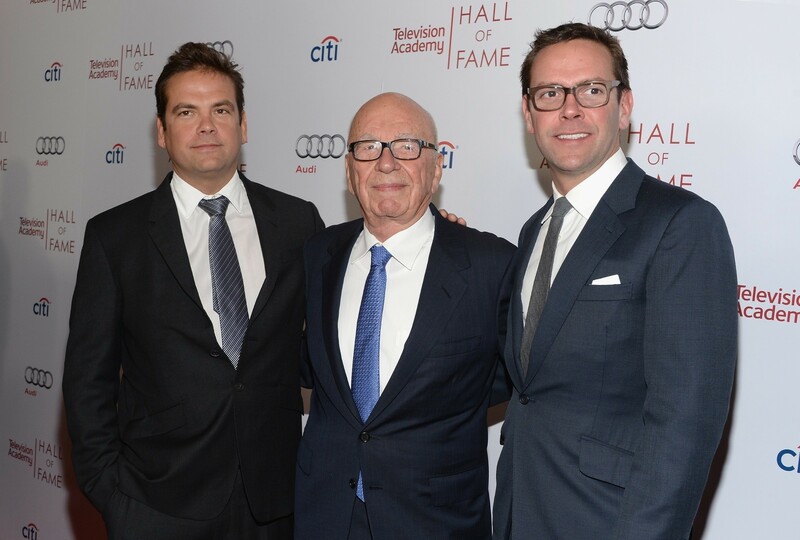 Back in the Fox fold: Lachlan Murdoch, left, rejoins father Rupert and brother James. It’s always a delicate and difficult task when you’re a reporter covering media and you have to do a story on the media company that employs you. And so the ink-stained wretches at The Wall Street Journal can be forgiven for their tentative take on the real meaning of a stunner of an announcement on Wednesday: that The Journal’s controlling owner, Rupert Murdoch, suddenly had named his eldest son—Lachlan Murdoch, who had quit in a snit nine long years ago—to be co-chairman. “The practical impact of Lachlan Murdoch’s appointment as nonexecutive co-chairman isn’t clear,” the Journal scribes wrote. But, in my view, the impact is crystal clear: Lachlan Murdoch, age 42, now is the odds-on favorite to succeed his 83-year-old father at the helm of the massive media empire that Rupert built. Even after Lachlan quit News Corp., moved to Australia and built his own career in private equity, he—and not the younger and more loyal James—always had been Rupert’s favorite to run the company someday. And all along, the father has been waiting for this prodigal son to return. I learned that late one night some years ago, at an industry conference. Everyone had been drinking heavily, and I (then managing editor at Forbes) end up in a nice chat with Rupert Murdoch, who was unaccompanied by any PR handlers. Back then, Lachlan had just left the company, and Peter Chernin was #2. “But he’s left the company!” I shoot back. Rupert instantly says: “But he can come back, can’t he?” And that, at long last, is what has just happened. Lachlan thereby catapults past James, who is only a year younger and who stayed at News Corp. and toiled away for their father for the entire nine years that Lachlan was gone from the company. And Lachan suddenly is right up there with Rupert’s #2 at 21st Century Fox: Chase Carey, a veteran network exec who sports a handlebar mustache. Without irony. The implications of all that are just below, but first, some disclosures: I worked at WSJ for 16 years (before Murdoch bought it). I’ve known Rupert Murdoch since I began covering him in 1987 (and like him). And I just finished a three-year run at Fox Business Network (which just, um, let my contract run out). My admiration for The Journal is deep, and I loved working at Fox and wish both of ’em all the best. Some of the spin you may hear now will be that Lachlan may be returning to the company fold because his younger brother, James, got sullied in the kerfuffle over the phone-tapping scandal at the now-defunct News of the World. But that has nothing to do with this latest move; this is focused on a father’s bringing his favorite heir back into the fold. Technically, Rupert Murdoch is naming Lachlan co-chairman, but in a non-executive role, of both News Corp. and its former sibling, 21st Century Fox. And he found a way to offer a sop to the younger James, elevating him from deputy operating officer to co-chief operating officer alongside Carey. First fallout: Watch for whether Carey ends up leaving the company now that it is clearer than ever that, given his lack of the right DNA, he likely never will get the top job. Second fallout: What might this mean for Roger Ailes, the all-powerful chief of Fox News? 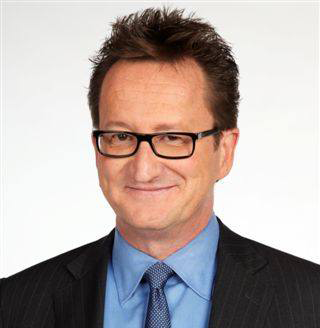 Word was that Lachlan quit News Corp. almost a decade ago because of infighting between him and Ailes. It should be noted that Rupert Murdoch pretty much can do whatever he wants, given his 40% voting control of both companies. And that both Lachlan and James are sharp execs in their own right, whatever their DNA. But as Rupert tries to set up control of his empire for the years after he leaves this life, the effort could provide quite a bit of corporate and personal drama. Watch for it.